Would you like to pursue your graduation or under-graduation studies in the US? Are you striving for a degree from a top US university? Or maybe you would like to pursue your dream of IT programmer or you may be interested to pursue education in one of the elite universities of US? Whatever, might be your purpose of studying in US, you must be aware of top US universities to get your accredited foreign degree. The United States of America has always been a top destination for international students, and why not, almost all the top colleges in any field are in located in this great nation. Every yea,r tens of thousands of international students arrive in the USA for pursuing their graduation or higher degrees in the field of Medicine, Engineering, Law, Management, and others. Pursuing higher studies in the US offer various benefits to the international students, but prior to selecting a program to study in the US, an individual should first learn about the American education system, which would assist them in developing their education plans. The US offers a wide range of opportunities as well as choices, and it should be the individual’s decision to choose an appropriate course. There exists such an array of programs, schools as well as locations that may overwhelm students, even native students. The following are the reasons why international students prefer to pursue their studies in America and acquire their certified degree from best US universities. There exits numerous ways that enables international students to study in US. 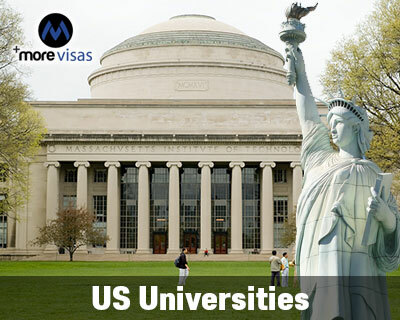 The following are some of the major visa programs that pave way to study and reside in the US for a certain period of time. Each program has its own requirements and specifications. Based on the individual’s course and duration of study they need to choose an appropriate visa to move and reside in the US. If you want to study in USA, fill out our Enquiry Form, so our visa expert will get back to you.